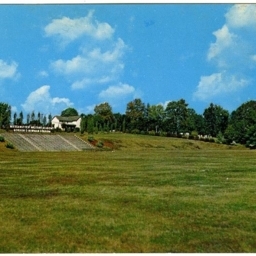 Color postcard showing the Gordon D. Bowman Stadium at Massanutten Military Academy in Woodstock Virginia. 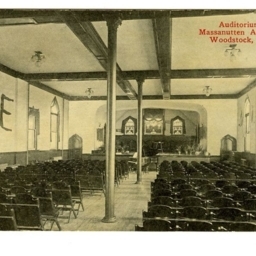 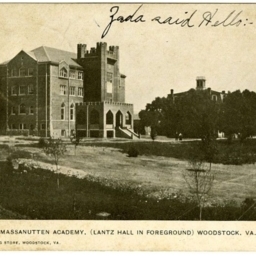 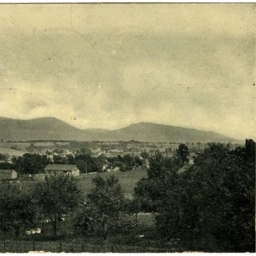 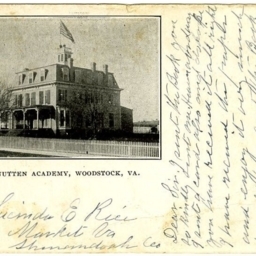 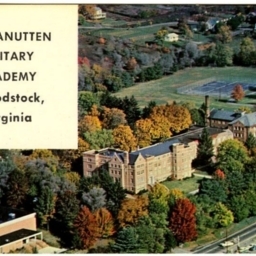 Color postcard showing Massanutten Military Academy from the eastern part of Woodstock Virginia. 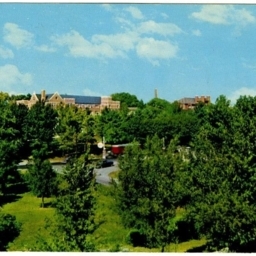 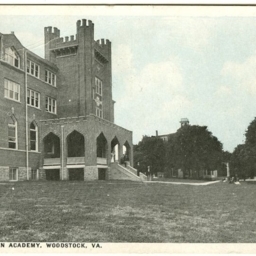 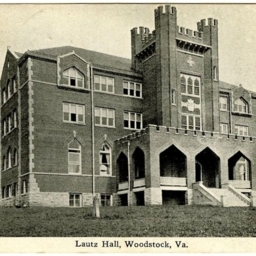 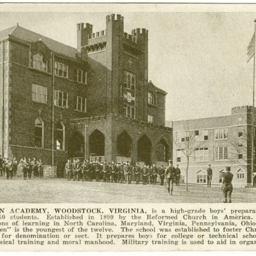 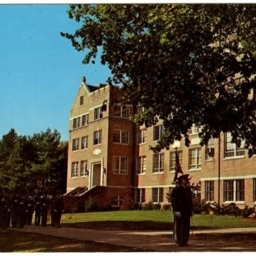 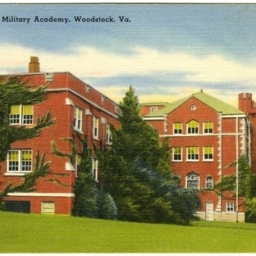 Color postcard showing a picture of Massanutten Military Academy's campus located in Woodstock Virginia. 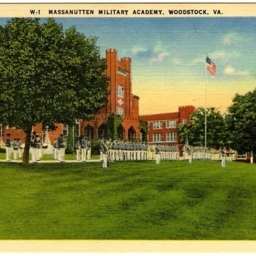 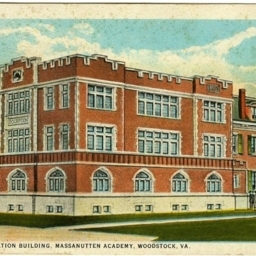 Color postcard showing a picture of Massanutten Military Academy's campus in Woodstock Virginia. 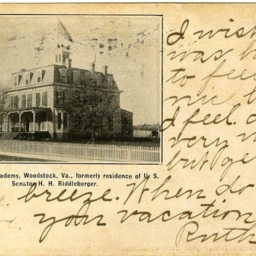 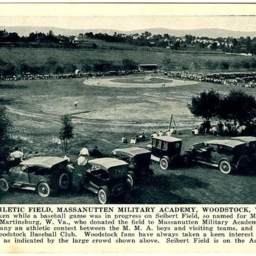 Postcard with a picture of the Seibert Athletic Field at Massanutten Military Academy in Woodstock. 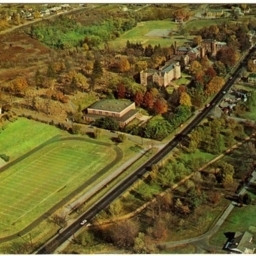 It includes a description of the field and the activities that occurred there.